Our Cane Sweetened Cinnamon Fugi Apple Wedges are a delicious treat that put the “S” in succulent. A wholesome dried fruit with just a little extra tang and taste with the addition of sparkling cinnamon, combines with mouthwatering Fugi Apple wedges to produce a distinctive and nutritious snack that has become a movable and healthy feast. 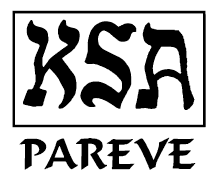 Kosher Parve (no Dairy).